Since 1977, Aaron York's Quality Air has provided expert furnace repair, sales and service to keep families in the Greater Indianapolis area warm all winter long. With our unpredictable winter weather, it is very important to maintain your heating system, the last thing that you want to deal with is a faulty heating system in the middle of winter. It is important to have your furnace inspected and serviced before the cold sets in. 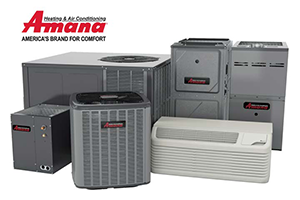 Our low-cost maintenance agreements will help keep your heating and air conditioning equipment operating efficiently at peak performance, helping to prevent major breakdowns before they occur, and maximizing its life expectancy. As an added bonus, you also enjoy priority service and discounts on services. Click here for more information. At Aaron York's Quality Air we service and repair all makes and models of heating systems including oil furnaces, gas furnaces and boilers for residential and commercial. Our factory trained, friendly technicians will expertly diagnose, repair and service your furnace or central air to restore maximum efficiency and comfort. Our service trucks are fully stocked for equipment repairs and all our technicians are professionally trained, nationally certified and state licensed. 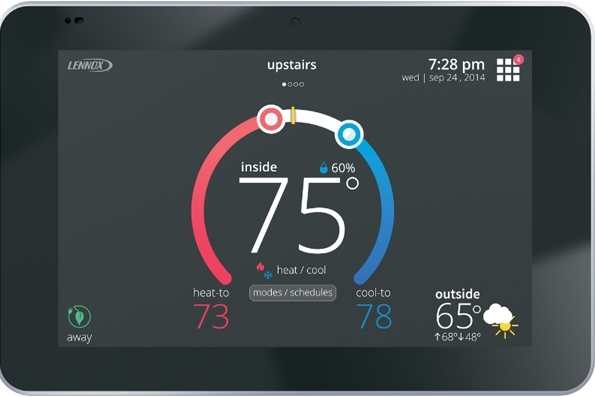 All of today's furnaces and boilers efficiency is measured by annual fuel utilization efficiency (AFUE). To be more specific, AFUE is the ratio of annual heat output of the furnace or boiler compared to the total fossil fuel energy consumed by a furnace or boiler in a years time. For example a furnace rated at 80 AFUE means for every dollar you spend to heat your home, 80 cents is returned in heat and 20 cents is lost. The AFUE rating does not include how much heat energy is lost through the ductwork of the heating system. Leaking ducts, non insulated ducts or duct work running through a cold attic will increase how much is lost. A 80 AFUE rated furnace compared to older furnaces which recover only 45-65 cents worth of heat, these 80 AFUE furnaces are affordable and good choices for your home. To get the maximum worth out of each dollar spent on gas, a 90% plus operating furnace is the best option available. Each dollar spent in turn can bring up to 98.7 cents back in heat to your home. At Aaron York's Quality Air we offer furnace systems from 80 AFUE to 98.7 AFUE to help fit your budget and comfort and to lower your monthly heating bills. Please give us a call today to find out more or to schedule your free in-home consultation on a new high efficiency furnace or central air system. Get the best of both types of energy sources when they are most efficient-electricity and gas. What makes this system so ideal is that it seamlessly alternates between the two energy sources, depending on outdoor conditions. A heat pump functions as both a heating and cooling system, reducing natural gas fuel consumption. 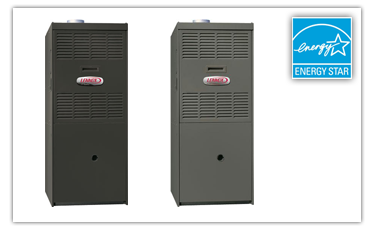 On extra cold days, the gas furnace becomes the primary heat source making it the most efficient energy source. Some of Our Many Heating Services for the Greater Indianapolis area.